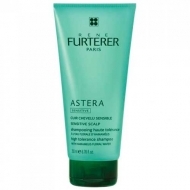 DESCRIPTION: Astera Fresh Cuir Chevelu Irrité Fluide Apaisant Fraîcheur from René Furterer is an appeasing care for the scalp. 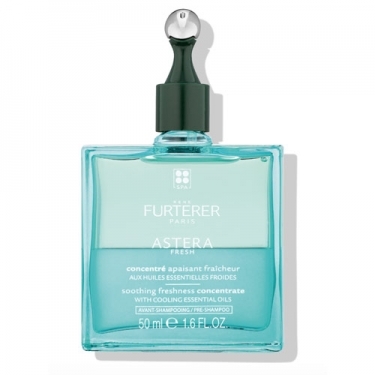 Its biphasic formula, enriched with Mint and Eucalyptus essential oils, provides freshness, softness and comfort. 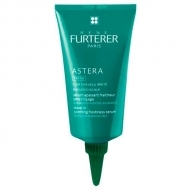 Shake and apply on the scalp with the help of the cannula. Gently massage and let it rest for 5 to 10 minutes. Rinse and wash as usual. We recommend applying twice a week.